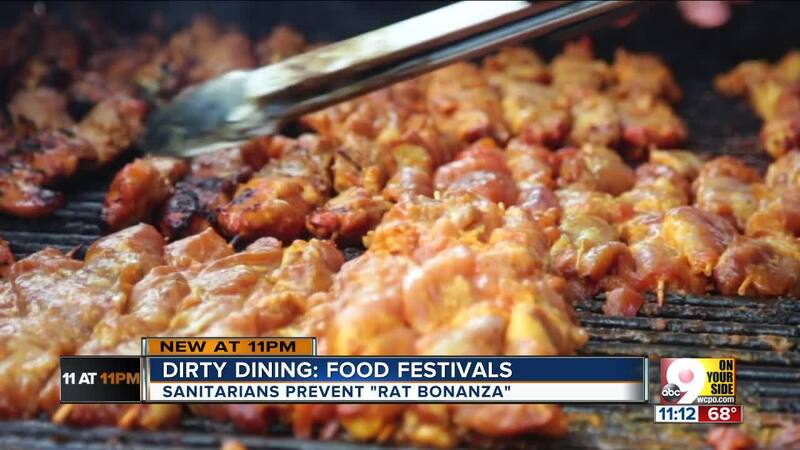 CINCINNATI -- In the nearly 40 years that Taste of Cincinnati has drawn thousands Downtown to feast on everything from pizza to potato pancakes, not a single person has reported getting a foodborne illness as a result of the festival. 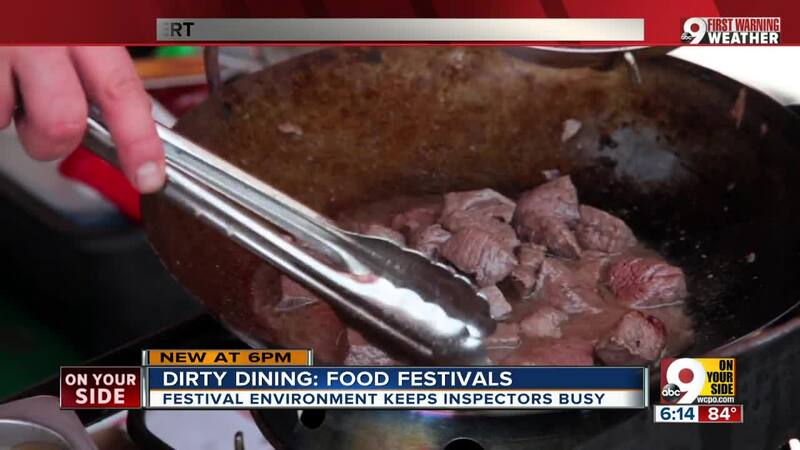 In fact, the city of Cincinnati has never had a report of foodborne illnesses from any of its festivals, said Antonio Young, the Cincinnati Health Department’s director of environmental health. “As you know, we put on a lot of festivals,” he said. The recipe for success, Young said, is a combination of experienced health inspectors, limited menus, inspections before every booth begins operations and throughout the run of each festival and, believe it or not, blocks of blue bait that reduce downtown Cincinnati’s rat population before festival season begins. Cynthia Oxley, who leads planning for Taste of Cincinnati as the Cincinnati USA Regional Chamber's director of corporate and community events, said the partnership to protect public health is the most important part of preparing for the event each year. She gave the health department lots of credit for Taste's track record when it comes to foodborne illness, but said she didn't want to say much about it. "We don't talk about it because we don't want to jinx it," she said. With the region’s biggest food fest just days away, WCPO and 9 On Your Side decided to take a look at the preparations that go into making Taste of Cincinnati successful from a public health standpoint. We interviewed people responsible for that success, both above ground and below. And we got a peek at how food inspections work at Cincinnati’s outdoor festivals by visiting the Asian Food Fest earlier this month. Young acknowledged that he has seen close calls in his 25-year career at the health department. He recalled an inspection he conducted on a hot day at Taste of Cincinnati many years ago. The vendor, whom Young declined to name, had a refrigerated case overloaded with so much raw chicken that the cold air couldn’t circulate. “And when I say filled full of meat, I mean overflowing with meat,” he said, adding that the temperature of the raw chicken had reached 80 degrees Fahrenheit. 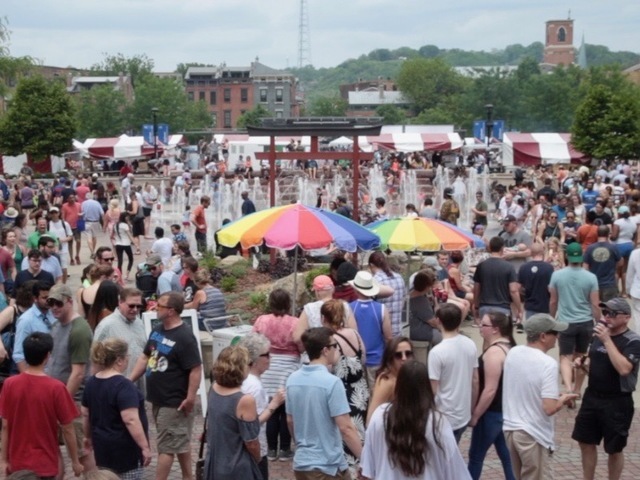 Temperature violations, in fact, are among the most common problems that inspectors find each year during Taste of Cincinnati and other outdoor food festivals, Young said. Health code requires cold food to be kept at 41 degrees Fahrenheit or below, and hot food to be kept at 135 degrees or above. The Centers for Disease Control and Prevention estimates that 48 million people in the United States get sick from foodborne diseases each year. Of those, 128,000 become sick enough to be hospitalized, according to the CDC, and 3,000 die from foodborne diseases in the U.S.
That’s why before any food vendor begins operating at Taste of Cincinnati or any other city festival, Cincinnati health inspectors check out their booths or food trucks and make sure they have the equipment and supplies they need and a good understanding of what the health code requires. “The set-up process basically is us handing them their license,” Young said. A supervising sanitarian or senior sanitarian with the health department typically conducts those inspections, he said. After that, state law requires that every booth operating with a temporary food service license must be inspected at least one more time. But Cincinnati’s inspectors conduct follow-up inspections each day of every food festival at regular intervals, Young said. That’s important because vendors can start out strong but get busy and run out of soap and paper towels at their hand-washing stations, for example. 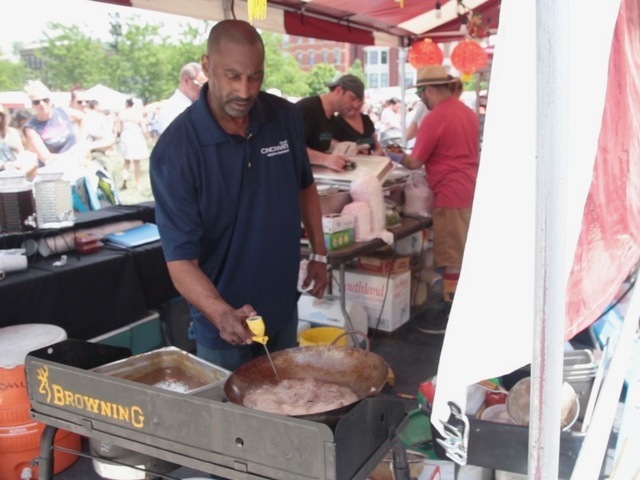 John Sanders, a senior sanitarian with the Cincinnati Health Department, allowed WCPO and 9 On Your Side to observe his inspection of China Gourmet’s booth at the Asian Food Fest. Sanders started by washing his hands before taking the temperature of the food China Gourmet was preparing for sale. 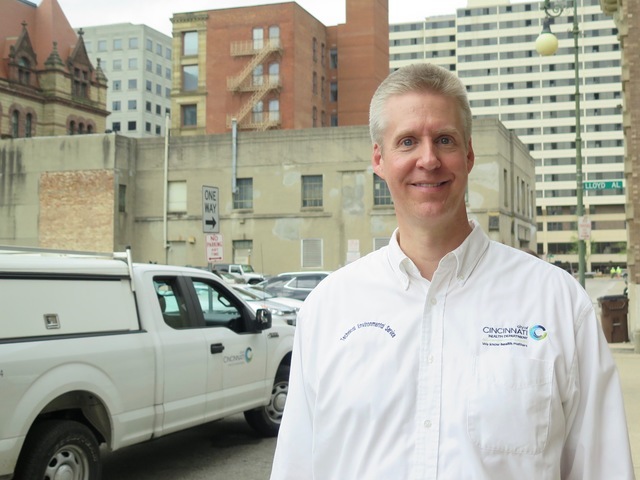 He went through every part of his inspection checklist, from testing the booth’s sanitizer to taking the temperature of the food to checking to see if there were any dairy-based sauces that needed refrigeration. “Keep up the good work, all right?” he told the staff as he stepped outside. The chamber also has volunteers that make up a "compliance team" that walks around the festival each day to make sure booths stay tidy and vendors are complying with the rules, Oxley said. If the volunteers spot a health code violation, the chamber encourages them to say something, she said. Vendors could have a lot more to worry about if it weren’t for the health department’s work below grade before the festival season begins. The polite term for the work is “sewer baiting,” and the goal is to reduce Cincinnati’s rat population. The Cincinnati Health Department baits sewers throughout the city all year long when the agency gets complaints from residents. But the health department schedules the work Downtown to start a few weeks before festival season. That’s when health department workers lower blue brick-shaped blocks of bait into sewers throughout the Central Business District. The blocks contain a low amount of poison, specifically designed for rats, said Robert Smith, a supervising sanitarian with the Cincinnati Health Department. The poison works as a blood thinner, Smith said. The rats gnaw at the block, ingest the poison and then essentially bleed to death internally, he said. The poison also has an antidote, he said, and any person who ingested it could be helped with a dose of Vitamin K.
It’s important to reduce the rat population before the festival season starts, Smith said, because the victuals dished up at the city’s food festivals are much more attractive than the poison that kills them. “If a rat has a choice between a piece of pizza that’s been thrown on the street versus our bait blocks, they’re going to go for the piece of pizza every time,” he said. After baiting the sewers, health department employees return and check to make sure the rats have been eating the poison. They can tell because the rats that have taken the bait leave blue droppings, he said. And while the sewer baiting doesn’t sound at all rodent friendly, it’s important for public health. If all this information has started to ruin your appetite, take heart. Young said there are things any Taste of Cincinnati visitor can watch for above ground to avoid trouble. Visitors also can keep an eye out for gloves and how the people handling their food use them. “People get a false sense of security when they’re wearing gloves," he said. "They’ll do everything with these gloves on like I’m being safe. But the only thing that’s protected are your hands." If you see someone prepare food, go take a smoke and then come back with those same gloves on to handle food, that is a health code violation, Young said. Booths don’t have to have a separate person to handle the money, he said. But the person who takes your money should not be touching food with their bare hands. The chamber also has volunteers that make up a “compliance team” that walks around the festival each day to make sure booths stay tidy and vendors are complying with the rules, Oxley said. 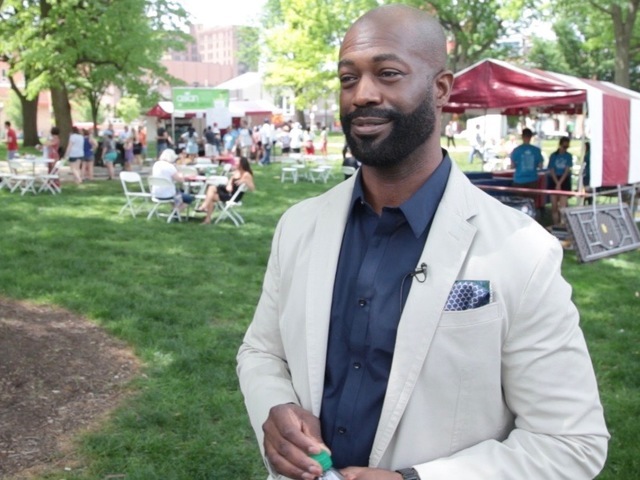 Even with everything that Young has seen over the years, he said he still enjoys Cincinnati’s food festivals and doesn’t worry about foodborne illness at the events.